BRIGHTON, Mich. - Ford has announced that they will boost production of the Ford Fusion, as the vehicle continues to sell quickly. 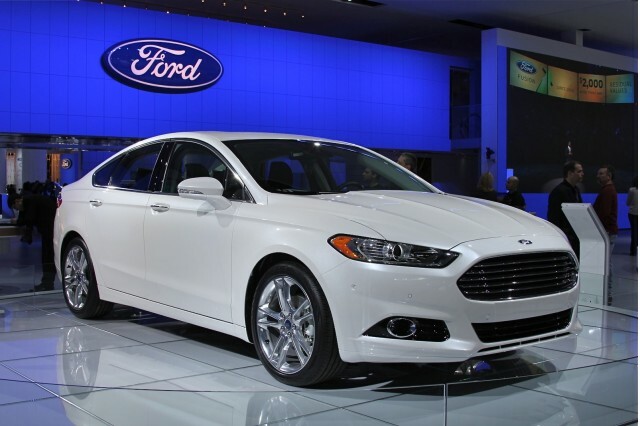 On average, the Ford Fusions are only sitting on dealer lots for a mere 10 days! A vehicle will typically spend 50-60 days on a lot, depending on the dealer and the environment - so Ford will be forced to boost production of the Ford Fusion to keep up with the selling pace. Ford will boost production by expanding the production capacity at the Flat Rock Assembly Plant - the same plant that will be using a simulated factory to train the new hires. By using the simulated factory, they can quickly and efficiently train large amounts of new hires, and get them on the lines to produce the Fusion. This will increase the production by about 10,000 vehicle per month. Once the production rate increases on the Ford Fusions, the 2014 models will appear on dealer lots - including our own! Expect the 2014 Fusion to be available to buy in the fall. If you don't want to wait for the newest model, you can take a look at our 2013 Ford Fusion Brochure. If you'd like to take it for a test drive, stop by our Milford Area Ford Dealer today and we'll get you all set up! Our talented and knowledgeable sales staff can help you with everything from test drives, to Car Loans, to New Ford Trucks. So stop by and say hello today!